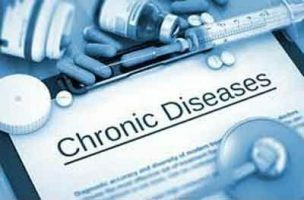 Over 20 per cent of the country’s population suffers from at least one of the non-communicable diseases (NCDs), which are estimated to cost India $ 6.2 trillion during the period 2012-2030, according to a report released. As per the World Health Organisation, non-communicable diseases or chronic diseases, such as cancer, heart ailments, respiratory diseases and diabetes, kill 38 million people globally every year. The advocacy paper ‘NCDs in the Development Agenda’ has been prepared by global non-profit organisation Partnership to Fight Chronic Disease (PFCD) with technical support from the National Health Systems Resource Centre (NHSRC), an agency under the National Health Mission. The report is an attempt to sensitise decision-makers at all levels towards the growing burden of non-communicable diseases and help shape their opinion towards a multi-stakeholder approach, an official of PFCD India said. “Of the estimated 98.16 lakh deaths in India in 2014, NCDs hold over 60 per cent share (5,869,000). It accounts for 53 per cent of the disease burden,” Executive Director of NHSRC, Sanjiv Kumar was quoted as saying in a statement released by PFCD. “Evidence demonstrates that NCDs not only affect health and quality of life, but also productivity and economic growth,” Kumar added. NHSRC helped PFCD with statistical analysis and lent technical support during the study which was conducted over a long period of time. The report was compiled in the last month or so, the official said. “Over 20 per cent of the population in the country has at least one chronic disease and more than 10 per cent of the people have more than one. Probability of death during the most productive years from one of the four NCDs is 26 per cent,” it said. The report also says that of the 60 per cent (over 5.8 million) deaths due to NCDs in 2014, 25 lakh took place due to cardiovascular diseases, 12 lakh to chronic respiratory diseases, 6.6 lakh to cancer and 1.9 lakh to diabetes. The report has identified “urbanisation, industrialisation and fast-paced socio-economic development”, among the major factors due to which a change in policy is needed to combat NCDs. Most NCD cases, including cancer, cardiovascular diseases and others are diagnosed late, primarily due to low awareness levels and lack of early screening.